Google is simplifying the way it presents its different payments tools to consumers, uniting them under a new brand called Google Pay. In a Google blog post, Vice President of Product Management for Payments Pali Bhat described this as more of a rebranding than a change to the underlying products or technology. He said the products being brought together include Android Pay (Google’s mobile payments and loyalty platform) and Google Wallet (its peer-to-peer payments app). Over time, this should make buying and paying through Google less confusing — if you’ve saved your payment information in your Google account, you don’t have to worry which app to use to access that information, because it’s all under Google Pay. For starters, when you make a purchase from Google, or from partner apps and stores, you’ll start to see Google Pay as an option. Initial partners include Airbnb, Dice, Fandango, HungryHouse and Instacart. 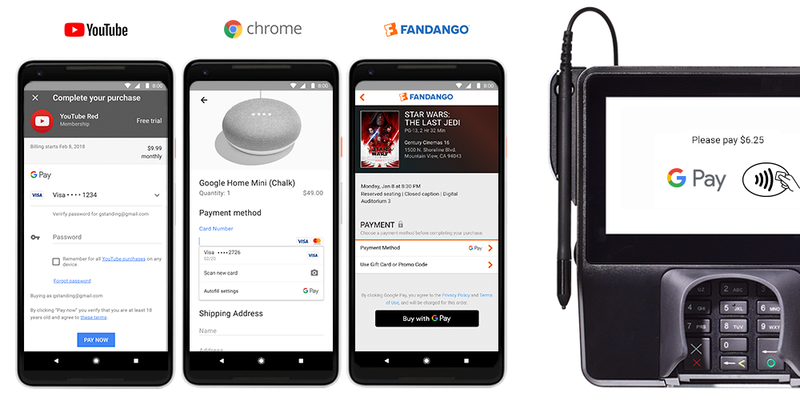 To promote the launch, Google is also offering special discounts when you buy something via Google Pay from B&H, Fandango and Instacart.